We have been receiving hundreds of inquiries regarding pickle making for preserving over-produced farm products such as cabbage, eggplant, cucumber, bamboo shoot, tomato, and potato, and how to convert them into pickle or how to preserve them for non-productive seasons. There are also questions if there are pickles that can cure or heal illnesses. We will go on about these questions every time in our articles. 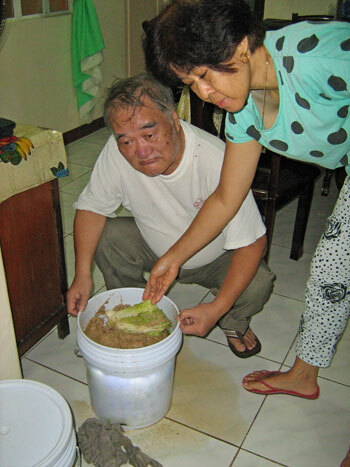 Today, you will learn how to make a type of Japanese pickle that is made by fermenting vegetables in rice bran (nuka). 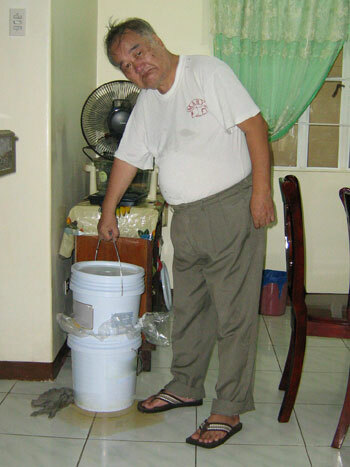 There are various methods in making pickle preserved in rice bran. Depending on the process, the taste, nutritional value, and medicinal value will vary. Some are even trade secrets by pickle makers and manufacturers. Whatever they are, we will start from very simple pickle preserved in rice bran. Place the rice bran in a claypan and roast the rice bran a little bit. Pour salt and water slowly, then, mix until the salt is completely melted. Mix with your hands until it reaches the consistency comparable to slightly moist sand. Feel free to add seaweeds, pepper, ginger, garlic, sugar, or any other spices you prefer. You can also add powdered eggshell. Make sure that they are completely buried in the rice bran. Now, prepare fresh vegetables you like to make them into pickles...cabbage, carrot leaves, radish leaves, eggplant, cucumber, lettuce, etc. When these vegetables are fresh, they contain a lot of water in them, thus, we recommend drying them in a cool windy and shaded place for about two days before they are placed in the rice bran. After this, bury the pickling vegetables in the rice bran bed for about another two days to allow them to lightly ferment themselves. Then, your initial pickled vegetables are now ready for eating. Take them out, wash and cut them, and eat them. However, the taste won't be perfect yet. It is because the rice bran medium is not well fermented. Besides, the rice bran bed may be wet because of water coming out from the fresh vegetables. If it becomes too wet, just add a little bit of rice bran with salt. Again, place fresh vegetables in it for another two days. Repeat this process for about ten days or two weeks, which means 4–5 times of replacing new vegetables. After a week or so the pickling medium will develop a unique aroma and look like damp sand. At this point, a fermenting culture has been established on the rice bran bed, which means the rice bran bed is live and contains active single-celled organisms like yeast and lactobacilli. Finally, you can have the perfect rice bran medium for making good pickles. Pickles are nutritious and tasty, and many of them have medicinal value, too. How about converting medicinal herbs into pickles? You can create new kinds of pickles for your dining table and enjoy your life. Here, you will see our photos, with me preparing pickles with used buckets. I myself prepared pickled cabbage with rice bran. 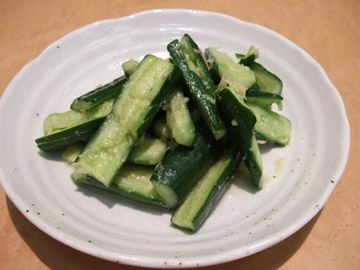 After few days, you can start eating the pickles, but 3-6 months of pickling will yield the best taste. Our old folks prefer the taste of one-year-old pickles.